I work with phenomenal clients every day, and rarely share the good work that they’re doing so I decided it’s about time that changed! Director of Money School, which is a course to help you and your family achieve financial freedom! Now who wouldn’t want that? 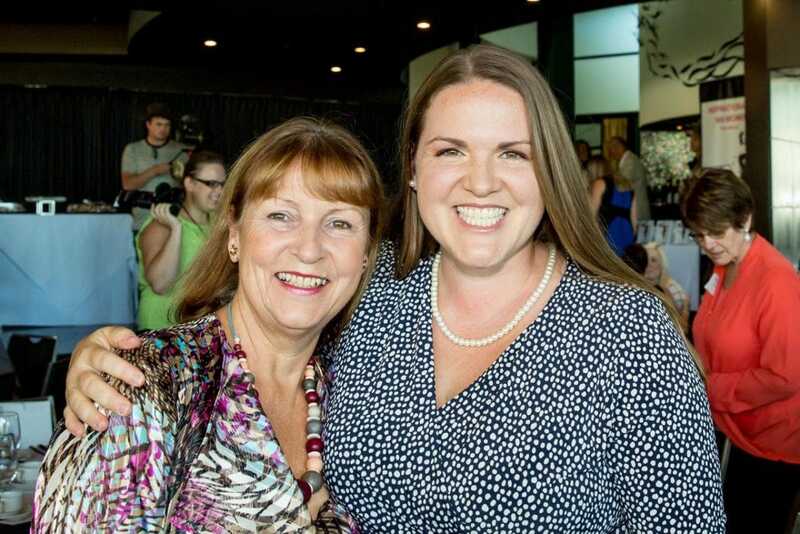 Lacey learnt about how to manage and grow her assets, and adapt to the ever changing market, from her mum, Fran White and as a result now lives on an income that is being generated from the assets she has invested in, starting at the age of 19. From what Fran taught Lacey, they created Money School, a flexible program which is now being rolled out in universities and high schools to help kids and their parents learn the basics behind how to achieve financial independence. Inspired by the idea of financial freedom? Tell me about it – helping Lacey create this course made me realise how important the concepts are that she’s delivering! It’s perfect for families, singles, couples, teens, kids, really, just about anyone. Unless, of course, you already have a consistent residual income flowing into your bank account from your assets, there’s something in this course you’ll benefit from – hands down, that’s a promise I’m willing to guarantee! Read on below to find out more about her course, and the products she has available. Fancy having a listen to the journey she went through to get this course out of her head, and into a successful online course? You’ll hear about what roadblocks she came up against, the things that saved her the most time and money, and things she’d do differently if she had her time over. Have a listen to the interview below, and get inspired by candid images of her as she went from concept to launch in 28 days! Ready to become financially independent? Want your kids to be finance savvy too? 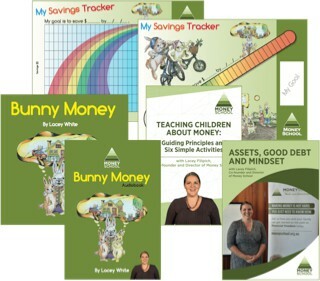 Lacey’s online shop has a range of very low cost products that help kids learn about money too – got a kid in your life who you’d like to see get off on the right financial footing? There’s nothing else like this on the market – and to be honest I think it should be across all school curriculum – why AREN’T we taught this stuff in school? Click on the image below if you’re an adult who is struggling with debt or wanting financial independence. She has a range of products for you too!